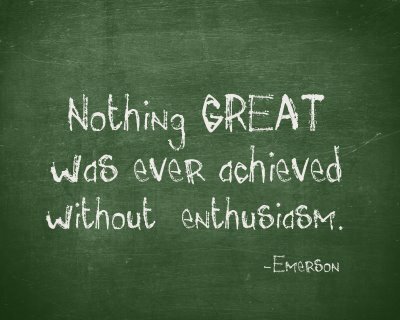 enthusiasm | Dream. Write. Lead. When I was growing up, there was much talk about ambition. I remember being taught (in school and at home) to dream big, learn much, and climb the ladder of success all the way to the top. But something I’m noticing more and more is that people (of all generations) seem to be comfortable with stopping only so far up the ladder. 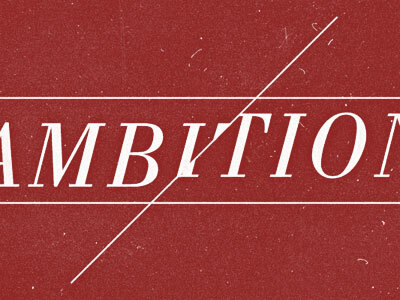 In a sense, it appears that ambition is a lost concept. Why are we no longer ambitious? Here are five possible explanations. In our recent days, difficult economic times have forced companies and organizations to cut expenses. Among those cuts are personnel. Among those personnel are quite often the people who have climbed to the top. Thus, the higher the salary, the first to go. As ambitious “ladder climbers” watch their leaders at the top be pushed off the ladder, they tend to stop climbing out of fear that they might be cut next. In turn, we’re left with a team of individuals who: 1) play it safe rather than take risks, 2) blend in rather than sticking out, and 3) contribute to the problem rather than improve it. Another explanation could be a collective lack of enthusiasm. As I converse with young professionals daily, I’ve found a common thread of frustration in today’s workplace. Not only do young professionals feel undervalued for their passions and talents, but they also don’t feel freedom to be creative. Instead, they’re asked to be cogs in the wheel, sticking to a robotic script, which leaves them unmotivated with no desire of growth or ambition. We’ve all seen it. You (or maybe someone you know) pours their passion, wisdom, and sacrificed time into building your future at a company. Then, out of nowhere, a manager hires someone else for your coveted (and likely well-deserved) role. Whether it’s an actual qualified candidate or the manager’s personal friend, it’s a stab in the gut, resulting in a major lack of ambition (especially when you have to train the new hire who’s getting paid more than you). Call it poor leadership or bad luck, nothing quenches a person’s ambition faster than being denied rightful opportunity. Ever had a boss or manager who constantly asked what you do? Even worse, has a work leader ever introduced herself to you on an elevator when you’ve already met numerous times? It’s hard to be enthused about working hard and being successful when your boss doesn’t even know your name or title. Talk about an ambition killer. When the wrong players are in the wrong roles, expect ambition to plummet fast. Leaders should be able to observe skill sets and assign roles, but a player’s instincts can often be the best indicator of who fits where. When leaders see a loss of ambition within their teams, re-examining player positions might be of great value when it comes to upping morale, enthusiasm, and ultimately…ambition. What other factors do you think are leading to a loss of ambition in today’s workforce? When it comes to ambition, do you need to a fresh cup?